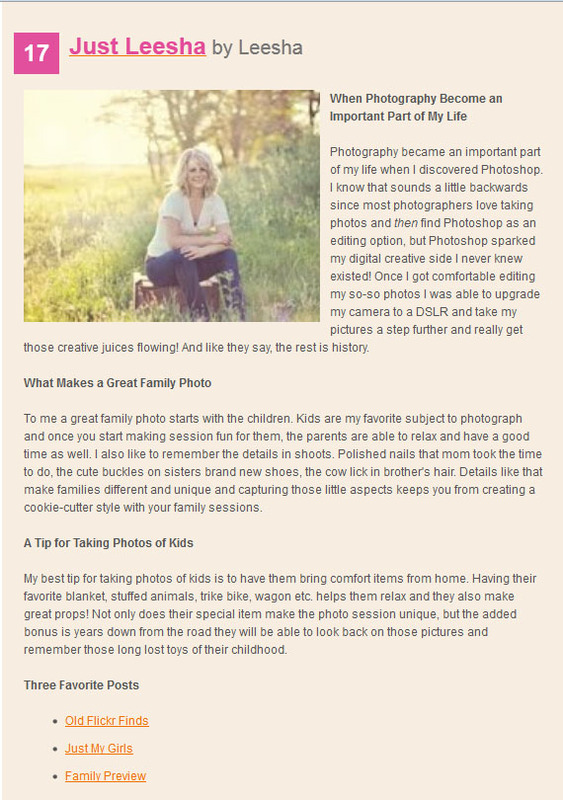 A few months back someone graciously nominated me for the Top 25 Photographer Moms on Circle of Moms. I was so thrilled to be nominated and even more excited when after a slew of votes I not only made it into the top 25, but ranked in at number 17! Since then I had to submit a photo of myself (eeeeks!) and answer some interview questions for the article on their site. Well today I saw its up! And if you would like to check out the actual article and all the other top 25 photographer moms click here. A big thank you to all of you who voted!! !